Jupiter, or Jove, in Roman mythology is the king of the gods and the god of sky and thunder, equivalent to Zeus in Greek traditions. Jupiter was the chief deity of Roman state religion throughout the Republican and Imperial eras, until Christianity became the dominant religion of the Empire. In Roman mythology, he negotiates with Numa Pompilius, the second king of Rome, to establish principles of Roman religion such as sacrifice. Jupiter is usually thought to have originated as a sky god. His identifying implement is the thunderbolt, and his primary sacred animal is the eagle. ZEUS,n. The chief of Grecian gods, adored by the Romans as Jupiter and by the modern Americans as God, Gold, Mob and Dog.... -Ambrose Bierce. Their ancestors had maintained, before the Christian era, that the Great Serpent—Jupiter, the Dragon of Life, the Father and “Good Divinity," had glided into the couch of Semelé, and now, the post-Christian Gnostics, with a very trifling change... - Helena Petrovna Blavatsky. ...Oh Jupiter of Latium seated in lofty Alda and Hearths of Vesta, Oh Rome, equal to the highest deity, favor my plans! Not with impious weapons do I pursue you.... - Julius Caesar. ZEUS, n. The chief of Grecian gods, adored by the Romans as Jupiter and by the modern Americans as God, Gold, Mob and Dog. Some explorers who have touched upon the shores of America, and one who professes to have penetrated a considerable distance into the interior, have thought that these four names stand for as many distinct deities, but in his monumental work on Surviving Faiths, Frumpp insists that the natives are monotheists each having no other god than himself, whom he worships under many sacred names. Martin: It's all in your stars! And there's Jupiter in your 12th house. You are the keeper of secrets! Their ancestors had maintained, before the Christian era, that the Great Serpent—Jupiter, the Dragon of Life, the Father and “Good Divinity," had glided into the couch of Semelé, and now, the post-Christian Gnostics, with a very trifling change, applied the same fable to the man Jesus, and asserted that the same “Good Divinity”, Saturn (Ilda Baoth), had in shape of the “Dragon of Life”, glided over the cradle of the infant Mary. The forefathers who founded this capital city first named her “Rome”. They had named her river the Tiber and erected a classical capital of pantheons and temples, all adorned with images of history’s great gods and goddesses — Apollo, Minerva, Venus, Helios, Vulcan, Jupiter. In her center, as in many of the great classical cities, the founders had erected an enduring tribute to the ancients – the Egyptian obelisk. Oh Thunderer, surveying Rome's walls from the Tarpeian Rock. Oh Phrygian house gods of Iulus, Clan and Mystery of Quirinus who was carried off to heaven, Oh Jupiter of Latium seated in lofty Alda and Hearths of Vesta, Oh Rome, equal to the highest deity, favor my plans! Not with impious weapons do I pursue you. Here am I, Caesar, conqueror of land and sea, your own soldier, everywhere, now too, if I am permitted. The man who makes me your enemy, it is he who be the guilty one." Then he broke the barriers of war and through the swollen river swiftly took his standards. And Caesar crossed the flood and reached the opposite bank. From Hesperia's Forbidden Fields he took his stand and said, "Here I abandoned peace and desecrated law; fortune it is you I follow. Farewell to treaties. From now on war is our judge!" But though they provide a man with a calendar they do not provide him with a creed. A man did not stand up and say 'I believe in Jupiter and Juno and Neptune,' etc., and she stands up and says 'I believe in God the Father Almighty' and the rest of the Apostles’ creed. ...they smell too much of that writer Ovid, and that writer Metamorphosis, and talk too much of Proserpina & Jupiter. Why here's our fellow Shakespeare puts them all down, [Ay] and Ben Jonson too. In the year of chan yan..., Jupiter was in [the Zodiacal Division of] Zi, it rose in the morning and went under in the evening together with the Lunar Mansions Xunu, Xu and Wei. It was very large and bright. Apparently, there was a small reddish (chi) star appended (fu) to its side. This is called “an alliance” (tong meng). The vastness of heavens stretches my imagination...Why do the poets of the present not speak of it? What men are poets who can speak of Jupiter if he were like a man, but if he is an immense spinning sphere of methane and ammonia must be silent? ....If, however, he should have nothing in common with them, except this power of doing good, which communicates unto all, then we ought to acquiesce in the reasoning of the Egyptian priests, who raise altars to the Sun conjointly with Jupiter; nay, rather we should assent to Apollo himself (long before them), who sits on the same throne with Jove, and whose words are, "One Jove, one Pluto, one Sun is Serapis. From which we must conclude that the sovereignty of the Sun and of Jupiter amongst the deities that are objects of intellect is held in common, or rather is one and the same. - Julian (emperor). With the decrees of destiny, attempted to steal the box in which were kept the decrees of the Fates; but he found that it was fastened to 'the throne of Jupiter by a golden chain, and to remove it would pull down the pillars of heaven. The [[w:Alma mater|Alma Mater, the Goddess Multi- mammia, the founders of the oracles, the Memnon or first idols were always Black. Venus, Jupiter, Apollo, Bacchus, Hercules, Asteroth, Adonis, Horus, Apis, Osiris, Anon, in short all the wood and stone. 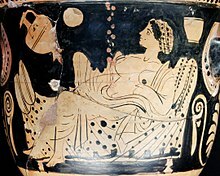 The Greek demigod Perseus was born when the god Jupiter visited the virgin Danaë as a shower of gold and got her with child. - Christopher Hitchens. The Greek demigod Perseus was born when the god Jupiter visited the virgin Danaë as a shower of gold and got her with child. The Presbyterians have cursed the God of the Catholics—charged them with idolatry—cursed their images, laughed at their … and yet Jupiter is just as powerful now as he was then, but the Roman people are not powerful, and that is all there was to Jupiter – the Roman people. For the planets round about him (the Sun), as though he were their king, lead on their dance, at appointed distances pursue their orbits at the utmost harmony....If, however, he should have nothing in common with them, except this power of doing good, which communicates unto all, then we ought to acquiesce in the reasoning of the Egyptian priests, who raise altars to the Sun conjointly with Jupiter; nay, rather we should assent to Apollo himself (long before them), who sits on the same throne with Jove, and whose words are, "One Jove, one Pluto, one Sun is Serapis. From which we must conclude that the sovereignty of the Sun and of Jupiter amongst the deities that are objects of intellect is held in common, or rather is one and the same. What chance has Vulcan against Roberts & Co., Jupiter against the lightning-rod and Hermes against the Credit Mobilier? All mythology overcomes and dominates and shapes the forces of nature in the imagination and by the imagination; it really vanished with real mastery over them. - Karl Marx. The flow of pilgrims rises dramatically when the planet Jupiter enters the house of Aries, and the Sun enters the house of Capricorn. This planetary alignment takes place once in 12 years, which is marked by Maha Kumbhamela, the great gathering of holy men, believed to be the largest congregation in the world. - Devdutt Pattanaik. 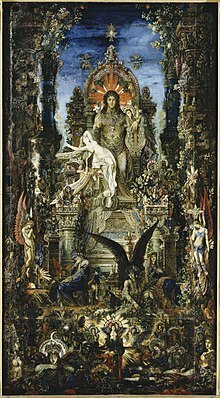 What chance has Vulcan against Roberts & Co., Jupiter against the lightning-rod and Hermes against the Credit Mobilier? All mythology overcomes and dominates and shapes the forces of nature in the imagination and by the imagination; it really vanished with real mastery over them. The flow of pilgrims rises dramatically when the planet Jupiter enters the house of Aries, and the Sun enters the house of Capricorn. This planetary alignment takes place once in 12 years, which is marked by Maha Kumbhamela, the great gathering of holy men, believed to be the largest congregation in the world. Dost disobey the wife of Jupiter, ...William Shakespeare. And with each end of thy blue bow dost crown. Jupiter, the biggest planet in our solar system is called as 'Guru Graham' in Sanskrit. This planet is related to the intellect of humans. Hence it is called as Guru. The planet Jupiter, changes from one Raashi (12 astrological signs.... - Ganapathy Sachchidananda Swamiji. Jupiter, the biggest planet in our solar system is called as 'Guru Graham' in Sanskrit. This planet is related to the intellect of humans. Hence it is called as Guru. The planet Jupiter, changes from one Raashi (12 astrological signs. Aries, Taurus, etc) to another every year. During the period of retrograde it slows down but still it makes up for the slowness and on an average it changes the Raashi house every year. This change generally happens in the last week of the month December. This type of calendar system is connected with the movement of the Sun and is called as Solar Calendar. For the temples, the sites for those of the gods under whose particular protection the state is thought to rest and for Jupiter, Juno, and Minerva, should be on the very highest point commanding a view of the greater part of the city. Mercury should be in the forum, or, like Isis and Serapis, in the emporium; Apollo and Father Bacchus near the theater; Hercules at the circus in communities which have no gymnasia nor amphitheatres; Mars outside the city but at the training ground, and so Venus, but at the harbor. It is moreover shown by the Etruscan diviners in treatises on their science that the fanes of Venus, Vulcan, and Mars should be situated outside the walls, in order that the young men and married women may not become habituated in the city to the temptations incident to the worship of Venus, and that buildings may be free from the terror of fires through the religious rites and sacrifices which call the power of Vulcan beyond the walls. As for Mars, when that divinity is enshrined outside the walls, the citizens will never take up arms against each other, and he will defend the city from its enemies and save it from danger in war. I [Trelawny] am likely to develop a cough, owing to the unlucky conjunction of Mars and Jupiter. ... [the divinity of Nahusha.] the Greeks received this symbol from Egypt, and then, according to more than one writer, ascribed it, with its concomitant festivals and orgies, to the son of Jupiter and Semele. - Vans Kennedy. The first and most ancient of men neither constructed temples no erected images, as they were unacquainted with painting, carving, and sculpture, and even architecture, as it might be easily proved. Nor was there amongst them the slightest memorial of those who were afterwards called gods and heroes; neither of Jupiter,' nor Saturn, nor Neptune, nor Apollo, nor Juno, nor Minerva, nor Bacchus, nor of those innumerable male and female deities, who were afterwards worshipped by the Greeks and Barbarians. Nor was there even a good or bad demon than acknowledged among mankind; but the stars of heaven alone were considered and adored as gods. The religious tenets of the Egyptians are much more ancient than those of the Greeks. They, however, held that Osiris and Isis were the sun and moon; and the ether difl'used through all space they named Jupiter; fire, Vulcan; the earth, Ceres; water, Oceanus, or their own river Nilus, to which also they ascribed the production of their gods; and the air, Minerva. Many are of opinion that the proper Egyptian name of Jupiter is Amoun (which we pronounce Ammon); and Manethos, the Sebennite, thinks that this world signifies concealment, or that which is concealed. In Jupiter, his parents, his brothers, his sisters, and children, was there divided the province of presiding over all things natural and human; and each of them is distinguished from another by peculiar characteristics of age, symbols, names, and actions. Scythian religion given by Herodotus in any manner coincides with the accounts of the German religion given by Caesar and Tacitus. For he enumerates as Scythian deities Jupiter, Tellus, Apollo, Venus, Urania, Hercules, Mars, and Neptune; and he states Mars was the principal god of the Scythians, while amongst the Germans Tacitus ascribes this place to Mercury. The belief in Astrology throughout Asia is too well known to require remark. But were ancient history lost, would any person in his senses think of determining the period when Alexander the Great was born, from this horoscope given by Nizami in the Sikandernama? Leo was rising, Sol was in Aries, Mercurius in Gemini, Luna and Venus in Taurus, Jupiter in Sagittarius, Saturnus in Libra, and Mars in the sixth house. Or, at least, would he not first enquire whether the poet had any authority for ascribing such a horoscope to Alexander? ... [the divinity of Nahusha.] the Greeks received this symbol from Egypt, and then, according to more than one writer, ascribed it, with its concomitant festivals and orgies, to the son of Jupiter and Semele. But it is a very remarkable circumstance, that an acquaintance with the seven days of the week, so familiar from remote antiquity to the people who originally spoke Sanskrit language, though unknown to the Greeks and Romans, should have been preserved among the Germans... - Vans Kennedy. But it is a very remarkable circumstance, that an acquaintance with the seven days of the week, so familiar from remote antiquity to the people who originally spoke Sanskrit language, though unknown to the Greeks and Romans, should have been preserved among the Germans. It is true, indeed, that among them the days received their names from their principal deities, and not merely from the planets, which, in Hindu mythology, are considered only as celestial beings of an inferior description. There seems, also, to be no doubt that Germans selected the names of the same planets to designate the days of the week, which have been immemorially used for the same purpose by the Hindus; and that, in both Germany and India, their consecutive order was the day of the Sun, the Moon, Mars, Mercury, Jupiter, Venus and Saturn. This page was last edited on 28 May 2018, at 11:30.